Here follows a brief description of scientific goals for each of them. 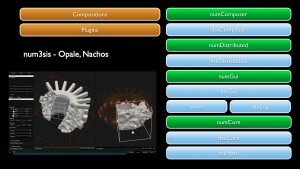 The platform num3sis developed by EPI ACUMES (former OPALE) and NACHOS is devoted to scientific computing and numerical simulation. It is not restricted to a particular application field, but is designed to host complex multidisciplinary simulations. 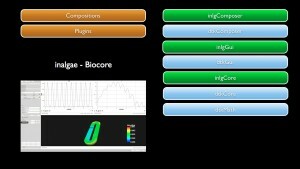 Main application fields are currently Computational Fluid Dynamics (CFD), Computational Structural Mechanics (CSM), Computational Electro-Magnetics (CEM). Nevertheless, num3sis can be a framework for the development of other numerical simulation tools for new application areas, such as pedestrian traffic modeling for instance. Axel is an algebraic geometric modeler developed by EPI GALAAD that aims at providing “algebraic modeling” tools for the manipulation and computation with curves, surfaces or volumes described by semi-algebraic representations. These include parametric and implicit representations of geometric objects. 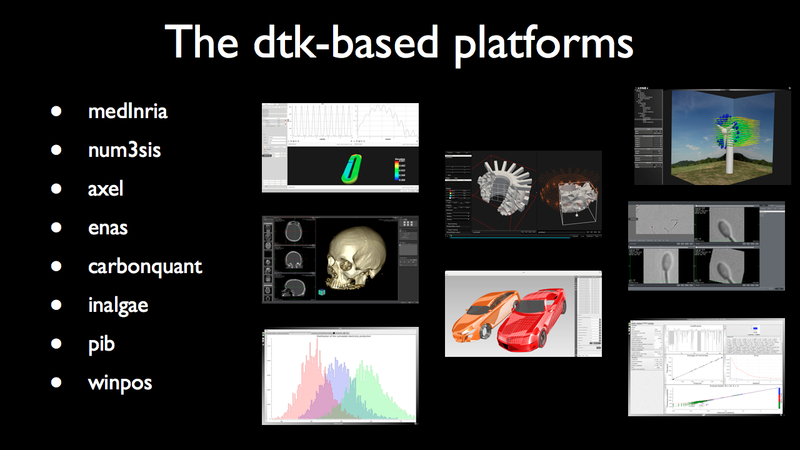 Axel also provides algorithms to compute intersection points or curves, singularities of algebraic curves or surfaces, certified topology of curves and surfaces, etc. 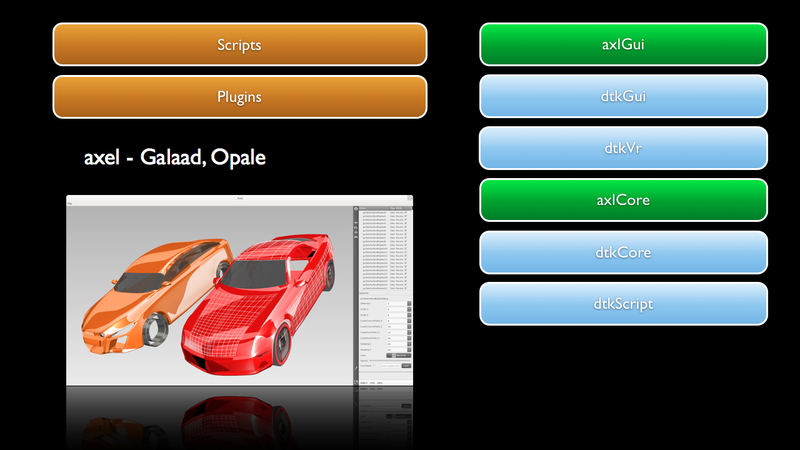 A plugin mechanism allows to extend easily the data types and functions available in the plateform. 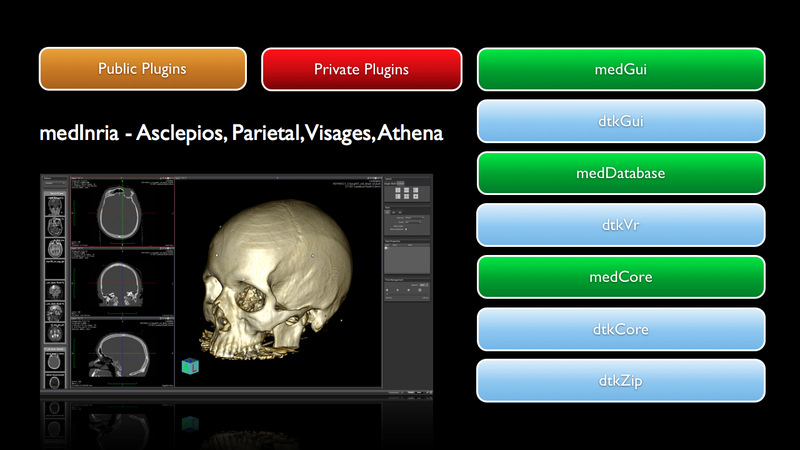 medInria is a multi-platform medical image processing and visualization software developed by EPI Asclepios, Athena and Visage. It is free and open-source. 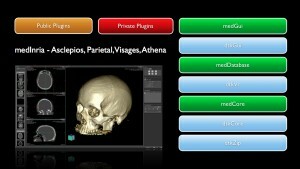 Through an intuitive user interface, medInria offers from standard to cutting-edge processing functionalities for your medical images such as 2D/3D/4D image visualization, image registration, diffusion MR processing and tractography. CarbonQuant software developed by EPI TOSCA aims at pricing carbon dioxyd gas discharge for the european market. The carbon market was launched in the European Union in 2005 as part of the EU’s initiative to reduce its greenhouse gas (GHG) emissions. For industrial actors, this means that they now have to include their GHG emissions in their production costs. 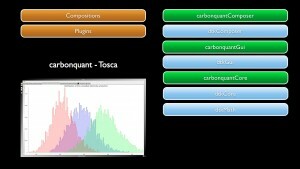 CarbonQuant aims at modeling the behavior of an industrial agent who faces uncertainties, and it compares the expected value of optimal production strategy when buying (or not buying) supplementary emission allowances. This allows us to compute the agent’s carbon indifference price. The resulting indifference price is used to study carbon market sensitivity with respect to the shape of the penalty and the emission allowances allocation. 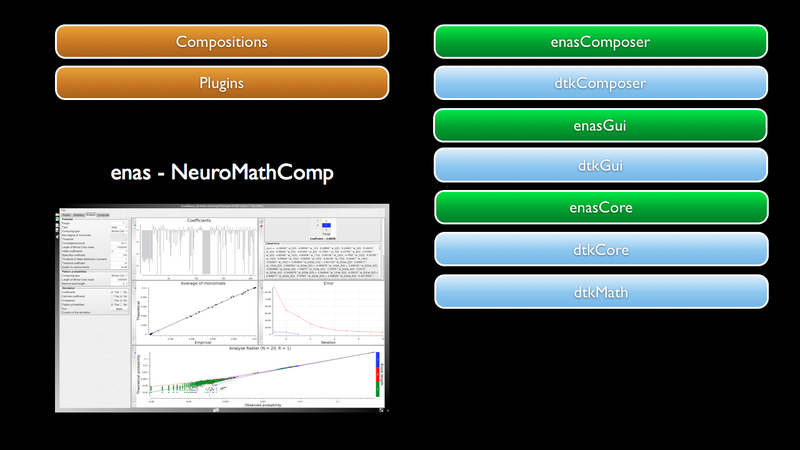 EnaS developed by EPI NeuroMathComp enables analysis of neural population in large scale spiking networks. With the advent of new Multi-Electrode Arrays techniques (MEA), the simultaneous recording of the activity up to hundreds of neurons over a dense configuration supplies today a critical database to unravel the role of specific neural assemblies. 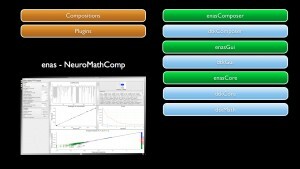 Thus, the analysis of spike trains obtained from in vivo or in vitro experimental data requires suitable statistical models and computational tools. The EnaS software offers new computational methods of spike train statistics. It also features several statistical model choices and allows a quantitative comparison between them. Eventually, it provides a control of finite-size sampling effects inherent to empirical statistics. 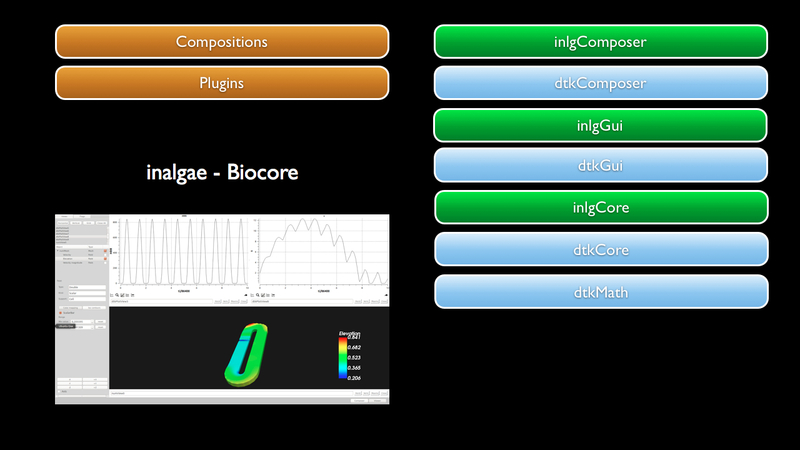 In@lgae is jointly developed by EPI Biocore and Ange. Its objective is to simulate the productivity of a microalgae production system, taking into account both the process type and its location and time of the year. 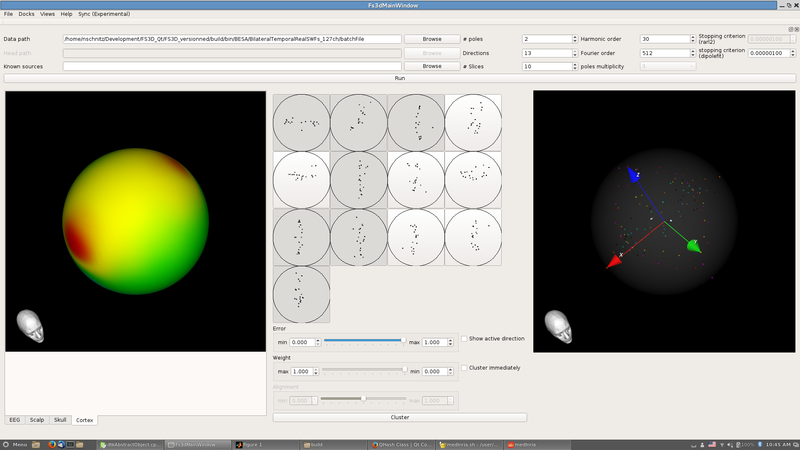 A first module (Freshkiss) developed by Ange computes the hydrodynamics, and reconstructs the Lagrangian trajectories perceived by the cells. Coupled with the Han model, it results in the computation of an overall photosynthesis yield. A second module is coupled with a GIS (geographic information system) to take into account the meteorology of the considered area (any location on earth). The evolution of the temperature in the culture medium together with the solar flux is then computed. Finally, the productivity in terms of biomass, lipids, pigments together with CO2, nutrients, water consumption, … are assessed. The productivity map which is produced can then be coupled with a resource map describing the availability in CO2 nutrients and land. The PIB platform developed by EPI Morphem provides visual programming framework for the definition of workflows that enable to characterize and model the development and the morphological properties of biological structures from the cell to the supra-cellular scale. 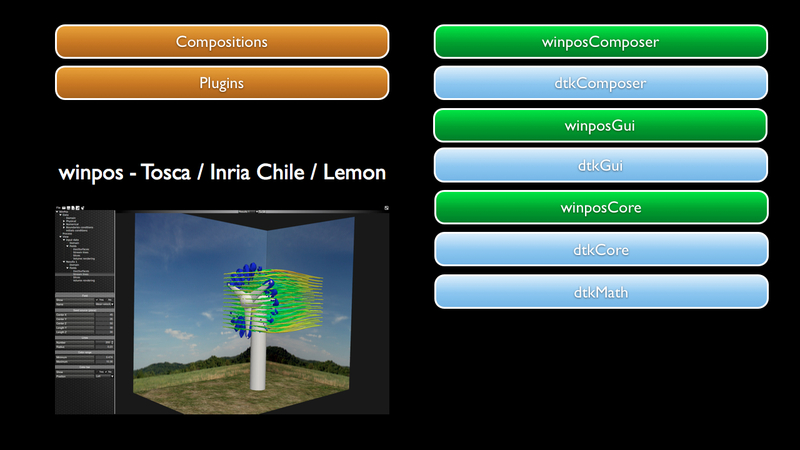 Windpos software is being developed in the context of the French-Chilean Associated Team ANESTOC-TOSCA involving the CIRIC at Inria Chile. This project aims at transfering and valuing to Chilean companies the results of researches on renewable energies, mainly wind prediction at the windfarm’s scale by developing and improving the Windpos software based on the downscaling methods, and waves energy potential of a site using video and developping stochastic models for the Wave Energy Converter called Oscillating Water Column. SUP is developed by the EPI STARS for perceiving, analysing and interpreting a 3D dynamic scene observed through a network of sensors. SUP´s primary goal is the dissemination of components containing algorithms developed by members of Stars. The dissemination is targeted for use in real-world applications requiring high-throughput. 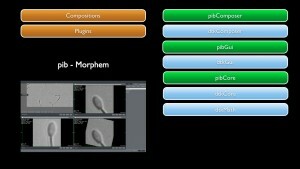 FS3D++ is a platform developed by EPI APICS, Athena and by the CMA of Mines-Paritech. It is dedicated to the resolution of inverse source problems in electroencephalogrphy (EEG). From pointwise measurements of the electric potential, numerically obtained or taken by electrodes on the scalp, FS3D++ estimates pointwise dipolar current sources within the brain.